As the lead voice of the UK metal packaging industry, the Metal Packaging Manufacturers Association (MPMA) has an essential role in representing members’ interests relating to a variety of operational, regulatory and environmental issues. It’s not just can makers that the MPMA represents however, but across the whole spectrum, including ink and material suppliers. CEO William Boyd takes up the story. The MPMA has recently managed to attract new membership in the form of Fujifilm, the Japanese manufacturer of screen and digital inkjet printing inks, and the developer of industrial digital print systems. Basing its UK operations in Broadstairs, Kent, Boyd has been delighted to welcome the company into the MPMA organisation. “They have been on our radar for some time,” says Boyd. “Driven by their investment in digital printing, the company is keen to be on a wider stage. They saw the MPMA as a good vehicle to do that; to better network inside the industry itself. “Digital printing been around for a while now, and the ability to use digital print onto metal has been around a long time too. However, Fujifilm is pushing the boundaries further, and making it more practical to have a digital printer as part of your printing manufacturing capabilities. Unsurprisingly, Britain’s exit of the European Union (EU) has dominated the MPMA’s recent workload. At the time of going to press, Boyd was keen to stress how the MPMA has had a prominent hand in maintaining a close relationship with the UK government, and ensuring its members are fully briefed and as prepared as they can be, in the event of the UK crashing out of the EU on 29 March without a deal. we approached the government directly,” explains Boyd. “We asked the Department for Business, Energy and Industrial Strategy to give a presentation to our members on 25 January this year. “It was a custom-made briefing to our members in London, where they briefed us on no deal preparations, and the resources available to a no deal Brexit. The department also gave our members guidelines on some steps that we can take to mitigate the impact of a no deal Brexit. As a trade body, the MPMA’s role in the process has been to ensure its members have access to all of the information available, and to give them the tools to adequately plan. The organisation has been active in this regard, offering specific tools to help alleviate the uncertainty of a no deal. “A Brexit toolkit has been available to members,” says Boyd. 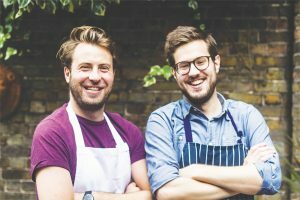 “We have kept close to the business department and HMRC, trying to understand the practical implications. “Recommendations have also been made to look at inventory and stock, ensuring they are having access to additional raw materials – steel and aluminium, components, inks and coatings. This includes increasing inventory prior to 29 March. Regardless of the consequences of Brexit, the UK government has made it clear that the UK will be adopting the principles of a Circular Economy, and it will be an important factor in government initiatives moving forward. This can only be a positive for the metal packaging in the UK, says Boyd. “The UK’s strategy with regards to the Circular Economy was revealed in December last year in the forward to the Resource and Waste Strategy by the environment secretary Michael Gove. He made reference to the Circular Economy principles being the driver for any environmental initiatives in the UK. “The UK government made it clear that they will adopt any existing EU environmental legislation, and they’re likely to track EU legislation. Although broadly in alignment with the UK government on the Circular Economy, the MPMA does clash with the government on the implementation of a Deposit Return Scheme (DRS) for drinks containers in England, Wales and Northern Ireland. The cost of the deposit would be added to the price of the drinks included in the scheme, and this deposit would be redeemed when consumers return the empty drinks containers to a designated return point. The bad news is at present, cans would be under the same legislation as glass and plastic bottles. This has prompted a robust stance from the MPMA, according to Boyd. “I think we have been strong on our opposition to DRS,” he explains. “Our public pronouncements have been quite clear that that we are supporting the government’s drive to a more Circular Economy, to increase recycling rate, to reduce marine pollution, and to reduce litter. We are right behind them on that. In terms of DRS, we came out very strongly during the consultation with the Scottish government against DRS; we said metal shouldn’t be included as we already have very high recycling rates. “Compare the situation in the UK with a country already operating DRS isn’t a fair comparison. We don’t have DRS, but we do have high recycling rates for metal packaging; with the Scandinavian countries it’s a false comparison. These Scandinavian countries don’t have the well-developed kerbside recycling systems that we do have in the UK. 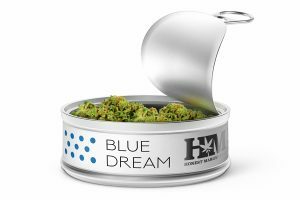 The MPMA believes that the industry’s stance when it comes to metal packaging is already highly appropriate, and any DRS implantation will only dilute the work already undertaken. “We don’t think DRS is appropriate for metal packaging,” says Boyd. “We already have good systems in place, and a high recycling rate. We need to use existing functions like Every Can Counts and Metal Matters, which have been successful and innovative in terms of increasing recycling rates at local authority level. 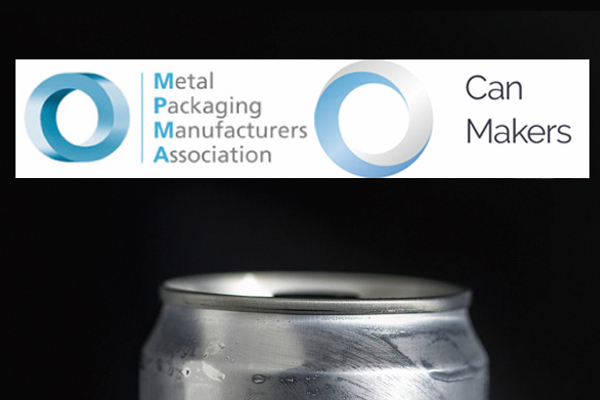 As further proof of the UK metal packaging industry protecting the interests of those within can making, the 19 February 2019 saw MPMA merge with the Can Makers (a trade body representing beverage can manufacturers). 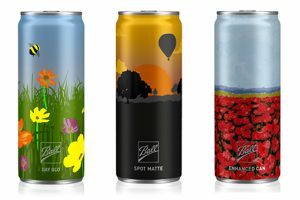 The merger sees beverage cans join forces with the rest of the metal packaging industry in the UK and will now be known as the Can Makers Committee. While operations externally will remain largely unchanged, processes will become much more streamlined and hopefully enable the industry to communicate more effectively with key stakeholders. Sustainability is at the forefront of the industry’s activities and the merger allows for closer coordination of key messages. With 2019 being such an important year for metal packaging in Europe, an increasingly united approach for its stakeholders can only be a positive.